Will haste over local manufacture see handset makers shut shop? Getting ready for the Baahubali juggernaut! 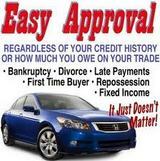 Easy Car Loan Finance In Hastings. Apply For Personal Loans in Hastings.